At EarthBend, we understand the importance of partnerships and how vital they are to supporting our goal of delivering unparalleled value to our customers. The strategic partners EarthBend360 has aligned with provide technology solutions and service capabilities that complement our own core product and service offerings. Together, we align our go-to-market initiatives and focus our collective efforts on solving our customers’ most critical business challenges. 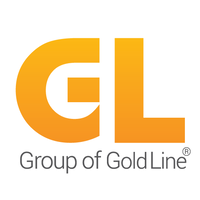 The Group of Gold Line (GL) is a Canadian group of companies specializing in the research, development, marketing and worldwide distribution of telecommunication solutions and technology products through four lines of business: Telephony, Web2Print, WebTV and Business Solutions. MessageMedia has been a pioneer in business messaging since its inception in 2000, delivering solutions that enable companies to transform how they communicate with clients, stakeholders and staff. Whether looking to automate administrative and call center workflows, integrate with existing systems through API’s, or facilitate how marketing teams increase engagement and conversion, MessageMedia Group has over 23,000 customers, sending over a billion messages per year. RiverStar provides customer-focused business process solutions that help drive customer loyalty and improve the customer experience. Over the past decade, they have built and refined their solutions to optimize customer interactions. With a unique combination of secure, connected data center and cloud solutions at the edge of the internet, TierPoint specializes in meeting enterprises where they are on their journey to IT transformation. TierPoint has one of the largest customer bases in the industry, with approximately 5,000 clients ranging from the public to private sectors, from small businesses to Fortune 500 enterprises. TierPoint also has one of the largest and most geographically diversified footprints in the nation, with over 40 world-class data centers in 20 markets and eight multi-tenant cloud pods, connected by a coast-to-coast network. The Workforce Management Software Group, Inc. (WFMSG) was founded in 2005 by a team of industry leading workforce management experts. WFMSG personnel were deeply engaged with legacy workforce management technologies and deployment approaches for Fortune 500 companies throughout North America and abroad. This expertise was distilled into the modern design of Community and their deployment and services models.